My heart just sank when I heard about the stranding of a Chinese coal ship near Gladstone in the Great Barrier Reef in Australia. Being a diver myself and having seen the beautiful reef in this area in 2005 I must say, that really hurts! 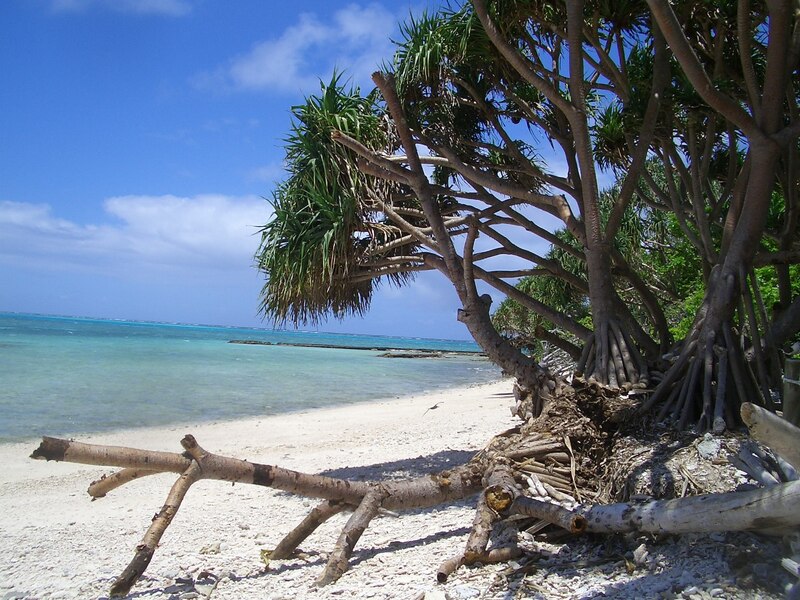 But when passing through Gladstone in 2005 I saw already the other side of this paradise. 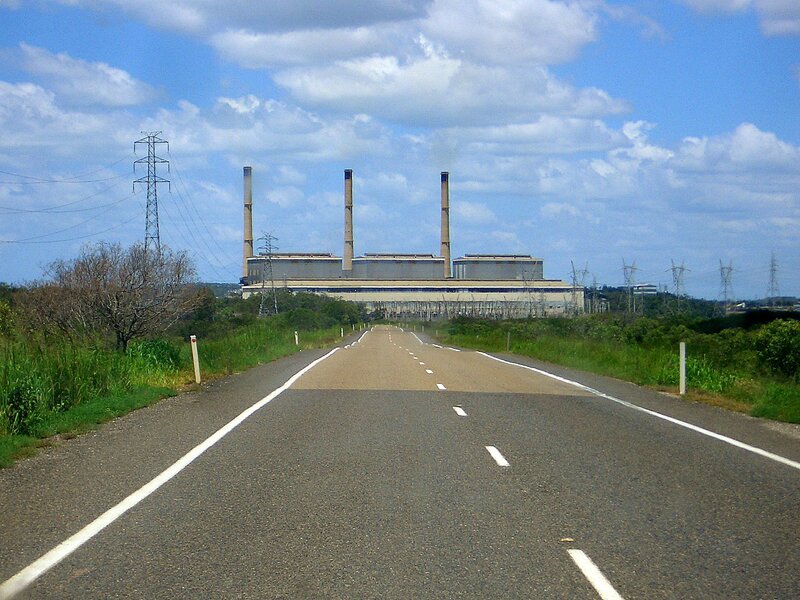 Although being located near the UNESCO World Heritage listed Great Barrier Reef, Gladstone is one of the mayor industry locations in Australia, with the world’s largest Aluminum refinery, Queensland’s largest powerplant and Australia’s largest smelter. This way this rather bizarre picture of a coal vessel on a coral reef becomes more logic, especially since Gladstone is also the world’s fifth largest coal exporting port. Having a closer look it becomes clear that Australia these days is THE world’s provider for mineral resources. It is the world’s largest exporter of coal and it is among the top five suppliers for nearly all other important mineral resources. It makes up for not less than 22% of the world’s uranium supply. 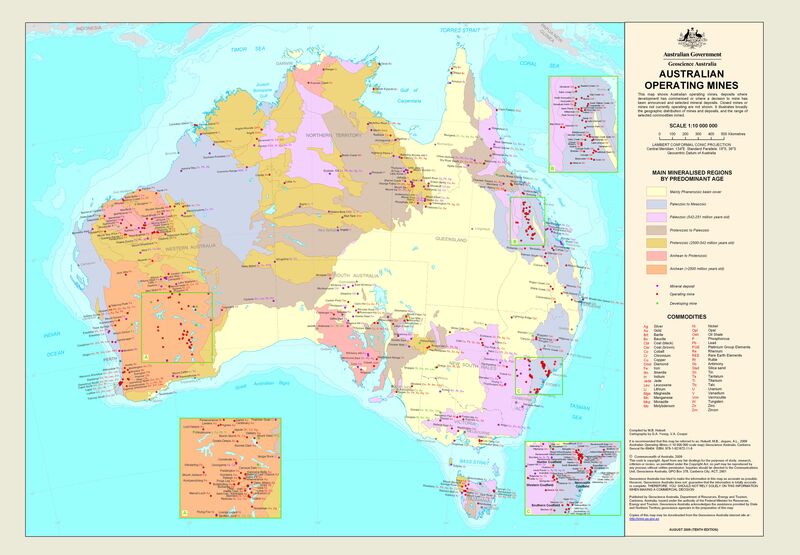 The map below from Geoscience Australia shows the numberless mining activities all over the country. So the accident with the coal vessel is not a strange incident but seems rather the result of a calculated risk. It is like Australia is digging a whole for a pool in the backyard and is carrying the dirt out stepping with muddy feet over the carpet in the living room. One has to decide what is worth more, nature’s beauty or nature’s treasures. 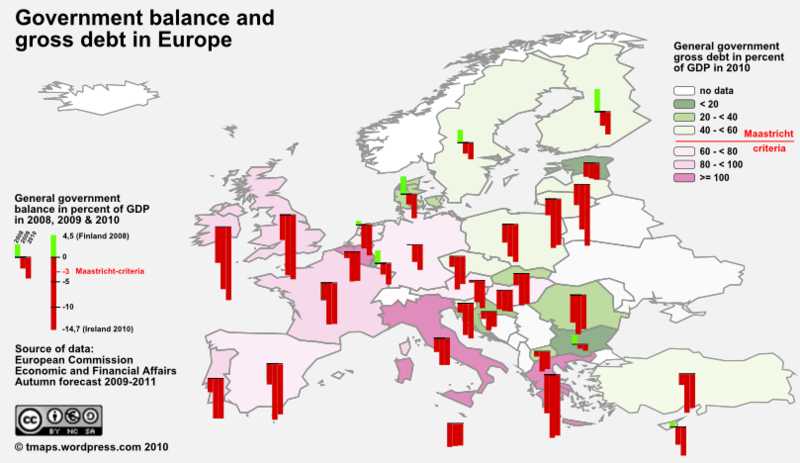 In November 2009 the European Commission published its autumn prognosis for the years 2009-2011. Striking is the prediction of the concerning development of the national budgets of most EU-states. According to the document hardly any of the EU-states will fulfill the Maastricht-criteria in 2010. The situation looks especially critical for Ireland and Greece. The tenor of public debates on this seems to be that the Irish or the Greek themselves are to blame for their situation. The term PIGS (for Portugal, Ireland/Italy, Greece, Spain) used expresses a poor attitude and might distract from the fact that the common economic imbalance in Europe is not entirely their fault.